Great pants for the price. For tight but great for working out! The pants are thinner than I thought and they seem to have more than 5% of synthetic material. But anyway they are nice. good quality. i thought the right pocket had a zipper but guess not. Ordered XL. my waist is around 34 inches, inseam is 30 inches. good fit. Great pants! Comfortable and look great. trousers have very fast, within 8 days. xl fit 80 kg 175 cm have, sitting but also good l) will be a little better quality thought, so basically and quite good. Received it pretty late but like it. I bought 2 pairs a grey and a black. 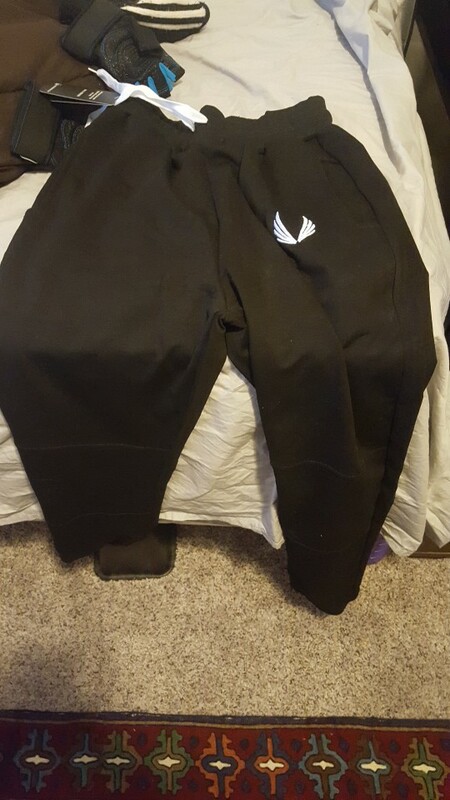 The pants came quick, very quick actually. That said the black had a bad stitch but the store quickly refunded the one pair and I will buying another pair. Pants are great and have a really great fit! Would Buy in every color if there were more colors. The fit is perfect. The product itself is very comfortable, however attracts dust.